Decorated by pink removable satin bow. Low heel classic Mary Jane shoes. 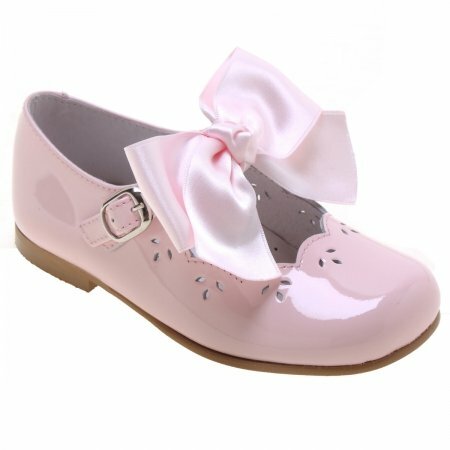 These pink patent shoes are for special occasions use only and not suitable as school wear. Please unbuckle before taking off the shoes to avoid damaging the strap.